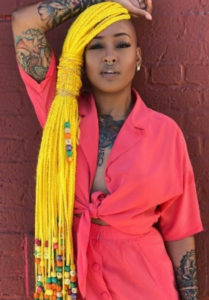 Protective styles like braids extensions have been on the go-to list for the longest time. They’ll never go out of style because they’re constantly being reinvented. These styles can take hours to achieve. So you definitely want them to look fresh when you finally step out of the salon. Classic styles will always be around. But, if you want to add a little sauce to your look, then keep reading. We’ve got 10 of the hottest braid extensions styles you just have to try in 2019. 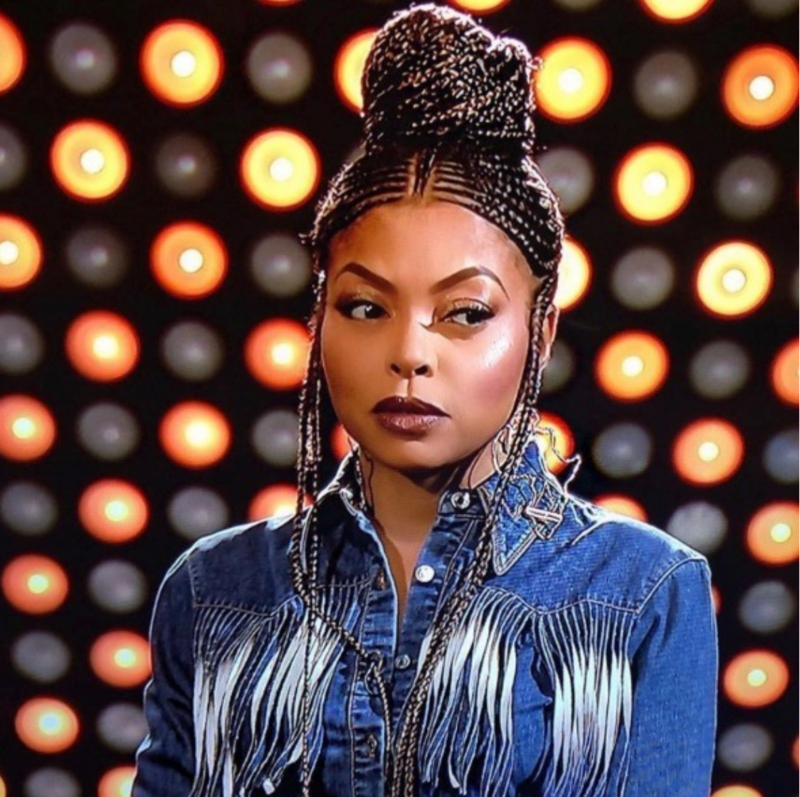 Taraji P. Henson brings the heat with this gorgeous set of Fulani braids. There is just so much to talk about with this look. The perfectly parted braids. The plaits that hang loosely at her temples. The swirling perfectly highlighted box braid hair extensions in a big bun at the top of her head. It’s all gorgeous and we’re here for it. Laurel Harrier stunned in these box braids at the LA premiere of Black Klansman. The slightly wavy and loose ends are absolutely gorgeous. We love the half up, half down look that she’s bringing. And those edges? Slicked down to perfection. Now, this is a look to love. 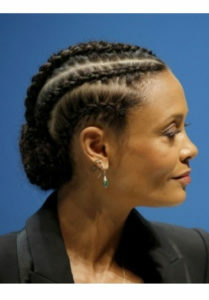 Thandie Newton wore this sophisticated bun when she joined the panel of judges for Cannes Lions. Her super stylish cornrows are braided in a slightly wavy pattern which adds even more to this stunning look. The low bun at the nape of her neck exudes style and elegance. We’re crushing on this look. 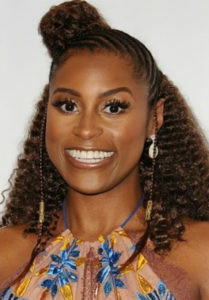 Issa Rae is always serving us flames with her looks. This time is no exception. She brought the heat to the red carpet when she wore this show-stopping half up, half down style. 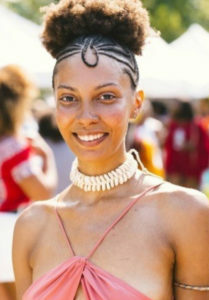 The cornrow braids at the top that lead your eye to her topknot are spectacular. The loose ends that soften the whole look have got us wanting to dash off to the salon. The colour and embellishments are also stunning. What’s not to love? Solange Knowles knows how to serve us all the hairspiration we need. She’s always reinventing her lewks and bringing us the latest and hottest styles. This one has got us shook. It’s bold. It stands out. It’s everything we’ve always wanted. 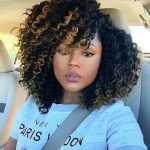 Get this look by colouring your natural hair the same as your braids. 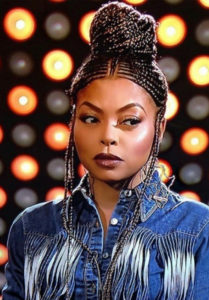 Chang up the thickness of your braids and slay. 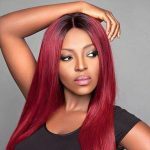 It’s #hairgoals, #hairenvy and #fiyah, all at the same time. Kerry Washington breaks the rules of controlled, perfect edges with this look. The straight-back cornrows are combined with loose edges and well-placed cuffs. It gives her an easy, earthy vibe that serves a sultry heat. Who’s going to be trying this one next? Hair accessories are here to stay and we love the way they’re being mixed and matched. Just look at Survivor’s Remorse actress Teyonah Parris. He’s combined a whole lot of beads and shells to come up with this look that we love. We can almost hear those beads as she moves her hair. Want to serve flames? This is the look to go for. We’ve seen every colour braid you can think of. From blue and pink to brown and orange, they’re bold and bright and LIT. This acid yellow is our new favourite. Isn’t it incredible? It’s like sunshine and happiness all braided together. The beads at the bottom finish off the look and this pink outfit makes it pop in all the right ways. Are you bold enough to try it? Shine like the goddess you are with this stunning braid style. It’s the perfect combination that will make your natural hair shine. The looped fringe speaks to the queen you are. So go on and rule your life with this sassy style. You’ll be the envy of everyone around you. Be prepared girl. Lupita Nyong’o is the real MVP when it comes to style and beauty. Just look this protective style. 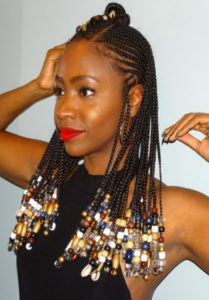 This lob is made up of tiny Senegalese twists that are on point. Paired with these stand out shades and colour print top, she shines like the star she is.